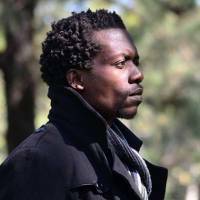 Bulawayo-based poet Philani Amadeus Nyoni aka Pan recently upgraded his poetry collection inspired by former President Robert Mugabe’s rule. Titled “Philtrum”, the collection was first published in November, a week after Mugabe resigned only to be further updated recently. Explaining the title Nyoni said the philtrum is the vertical groove between the nose and upper lip, a position where Mugabe grew his famous signature moustache. “The book is a collection of poems written during the Mugabe era on power and the man, up to the very end. It pays special attention to the last days in power and the intrigue entailed,” he said. Nyoni said the second edition includes the birth of what many term “the second republic” led by President Mnangagwa. “The second edition includes explanatory notes to the text and new content which includes observations on the transition up to the birth of ‘the Second Republic’,” he said. “Philtrum” was inspired by a passion to tell the African story and record history from an African perspective. “The book was inspired by the death of Nelson Mandela. His passing was announced right after his biopic premièred in London. DSTV had a whole channel dedicated to content about him, including a documentary about his shirts. “I was concerned, gravely, by the lack of diversity in these programmes. It seemed the narrative had been hijacked and who’s to blame when we don’t tell our own stories? “I began taking better care of my poems for posterity. Some could land me in a lot of trouble at the time,” he said. Nyoni describes his book as his own effort of documenting history. “‘Philtrum is my record of that era. I was there, I felt, and I wrote. “I desire the current president to own a copy and keep it as a constant reminder of how the man at the bottom felt about his predecessor who should also read it to hear what was murmured beyond his castle walls,” he said. Nyoni is an award-winning author, poet, actor, filmmaker and blogger. He holds the world record for the most Shakespearen sonnets in a manuscript. 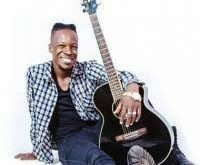 When William Shakespeare died at the age of 52, his collection had 153 sonnets, Nyoni has written 306 at half that age.